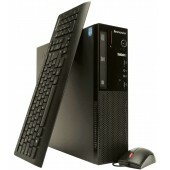 Lenovo ThinkCentre Edge 72 MT IVB G2020 2.9GHz 4GB 500Gb Intel HD DVD±RW DOS 1/1 carry-in(MTM 3485BQG) (Lenovo)..
Lenovo ThinkCentre Edge 72 SFF IVB G2020 2.9GHz 4GB 500Gb Intel HD DVD±RW DOS 1/1 carry-in(MTM 3496F1G) (Lenovo)..
Lenovo ThinkCentre Edge 72 MT IVB G1610 2.6GHz 4GB 500Gb Intel HD DVD±RW Intel HD Win7 Pro64 preload+Win8 Pro64 RDVD/licence 1/1 carry-in(MTM 3485EAG) (Lenovo)..
ПК Lenovo ThinkCentre Edge 72 MT i3 3220 (3.3)/4Gb/500Gb/IntHDG/DVDRW/MCR/DOS/клавиатура/мышь (Lenovo)..
Lenovo ThinkCentre Edge 72 MT IVB G2020 2.9GHz 4GB 500Gb Intel HD DVD±RW Win7 Pro64 preload+Win8 Pro64 RDVD/licence 1/1 carry-in(MTM 3485BUG) (Lenovo).. 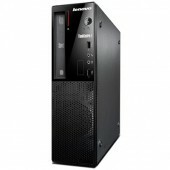 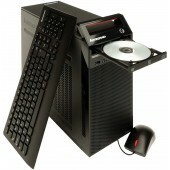 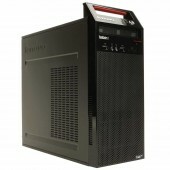 Edge 72 SFF IVB i5-3330s 2.7GHz 4GB 500Gb Intel HD DVD±RW Intel HD DOS 1/1 carry-in (Lenovo)..
Компьютер Lenovo ThinkCentre Edge 72 оснащен процессором Intel® Pentium® G2020, частотой 2.9GHz, 4096 Mб оперативной памяти DDR3, Intel® HD Graphics, жестким диском на 500Гб, DVD-RW приводом и операционной системой Windows 7 Professional 64-битная с лицензией на обновление до Windows 8 Professional ..
Компьютер Lenovo ThinkCentre Edge 72 оснащен процессором Intel® Core™ i3 3240, частотой 3.4GHz, 4096 Mб оперативной памяти DDR3, Intel® HD Graphics 2500, жестким диском на 500Гб, DVD-RW приводом и операционной системой Windows 7 Professional 64-битная + Windows 8 Professional 64-битная. 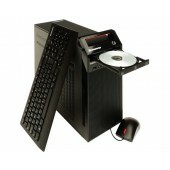 Выполнен в ф..
Lenovo ThinkCentre Edge 72 MT i3-2130 3.4GHz 4GB 500Gb Intel HD DVD±RW Intel HD Win7 Pro64 preload+Win8 Pro64 RDVD/licence 1/1 carry-in(replace RCDB9RU)(MTM 3485CFG) (Lenovo)..
Настольный ПК Lenovo ThinkCentre Edge 72 (RCCDBRU) Edge 72, Tower, i3-3220(3.3GHz), 4GB, 500GB (7200rpm), Intel HD, DVDRW, Keyboard+Mouse, Win 7 Pro 64 preload+Win 8 Pro 64 RDVD [3484DBG] (Lenovo)..
Настольный ПК Lenovo ThinkCentre Edge 72 (RCDBFRU) Edge 72, Tower, i5-3330(2.7GHz), 4GB, 500GB (7200rpm), Intel HD, DVDRW, Keyboard+Mouse, Win 7 Pro 64 preload+Win 8 Pro 64 RDVD [3485BFG] (Lenovo)..
Lenovo ThinkCentre Edge 72 MT IVB i5-3470S 2.9GHz 4GB 500Gb Intel HD DVD±RW Win7 Pro64 preload+Win8 Pro64 RDVD/licence 1/1 carry-in(replace RCDCLRU)(MTM 3485CLG) (Lenovo)..
Компьютер Lenovo ThinkCentre Edge 72 оснащен процессором Intel® Core™ i5 3470S, частотой 2.9GHz, 4096 Mб оперативной памяти DDR3, Intel® HD Graphics 2500, жестким диском на 500Гб, DVD-RW приводом и операционной системой Windows 7 Professional 64-битная с лицензией на обновление до Windows 8 Professi..
Настольный ПК Lenovo ThinkCentre Edge 72 (RCGFJRU) Edge 72, SFF, i5-3330(2.7GHz), 8GB, 500GB (7200rpm), ATI Radeon HD7450 1GB, DVDRW, Keyboard+Mouse, Win 7 Pro 64 preload+Win 8 Pro 64 RDVD [3496FJG] (Lenovo)..